I am very grateful this year to be invited to Melilea's Chinese New Year celebration which was held in conjunction with its annual party! 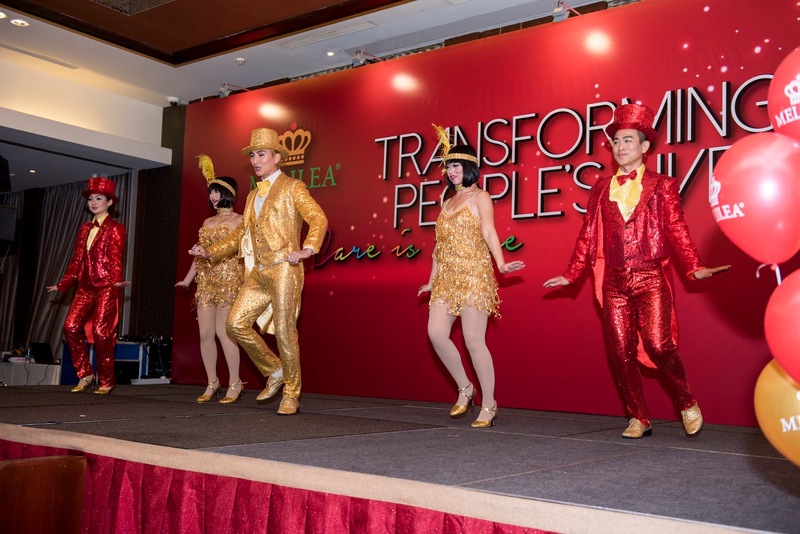 Held at Serangoon Gardens Country Club, the event delivers objectives of thanksgiving for the continuous support from loyal customers and business partners in 2015, bringing Melilea's mission and vision of Transforming People’s Life into a new high in 2016, and encourage the culture of giving among Melileans. 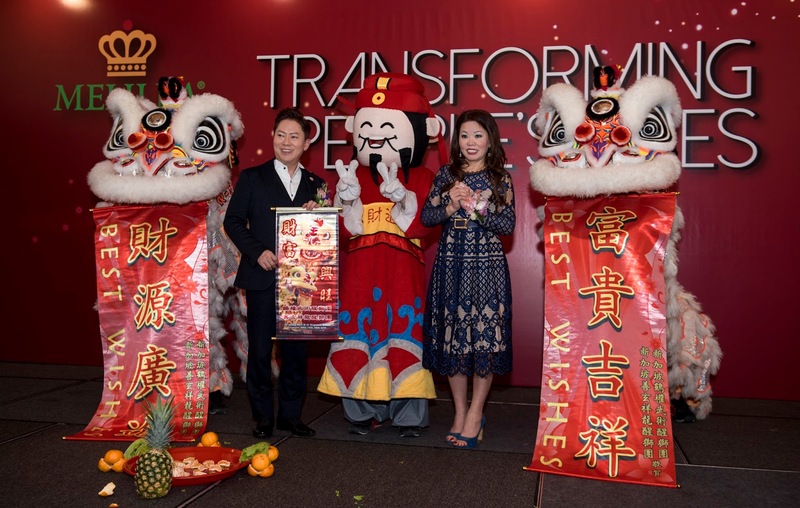 Started in 2002, Datuk Dr Alan Wong and Datuk Dr Stella Chin, upholding a simple faith, helped countless people by leading them into transforming their health and beauty from inside out to achieve a more fulfilling healthy lives. Melilea products are based on a comprehensive and pure organic philosophy. From farming, cultivation, research and development, production and quality control, all procedures meet the stringent requirements of premium organic products. Datuk Dr Alan Wong and Datuk Dr Stella Chin aims to lead the public to attain health through pure zero-pollution organic consumables. There were many things I heard about Melilea be it its products, business, and the pioneers of this brand. 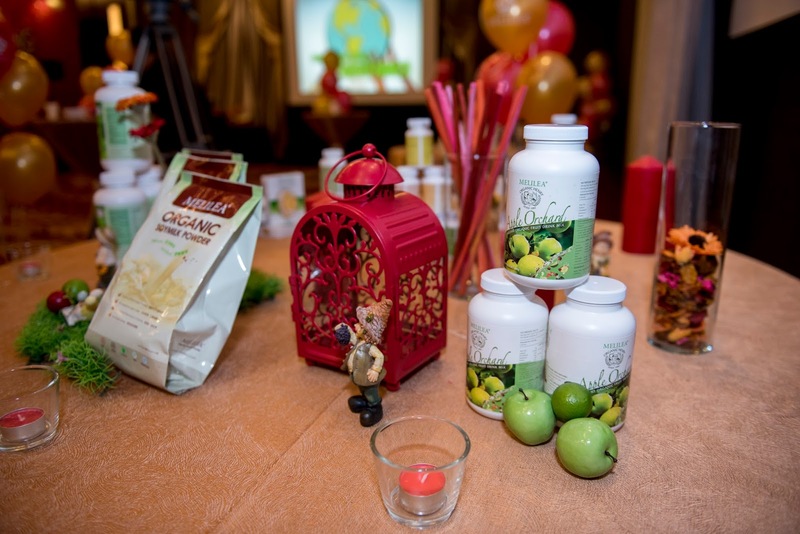 What attracts me most about Melilea really is their pride in producing organic products and promoting organic lifestyle. They tell us to consume natural non-GMO foods that are free from chemical fertilizers, additives and radiation, exercising consistently and commit in maintaining an a better well being through their organic products. The products range from consumables for inner well being like the Melilea Organic Nutritious Botanical Powder that provides a natural blend of soluble and insoluble fibers from natural organic plants that serves to cleanse your body, as well as outer beauty like the Botanical Skin Care Series that ranges in all spectrum of skin care starting from cleanser to exfoliation. Melilea's annual party began with highlights of Melilea's achievements as well as its Corporate Social Responsiblity (CSR) through its handouts to the needy like the old and orphans. 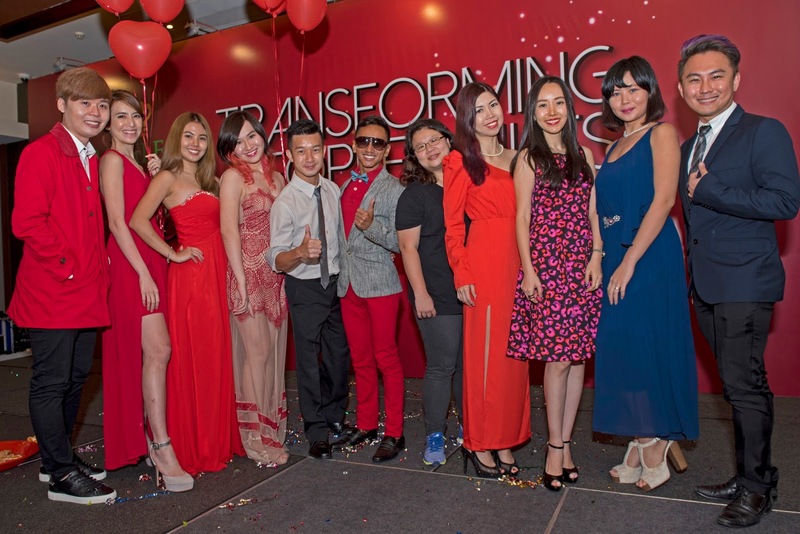 Taglined Transforming People's Life, Melilea has sponsored a generous amount of $50,000 to the National Volunteer and Philanthropy Centre (NVPC), supporting the mission of promoting the spirit of giving in Singapore. Giving does not only stop there! 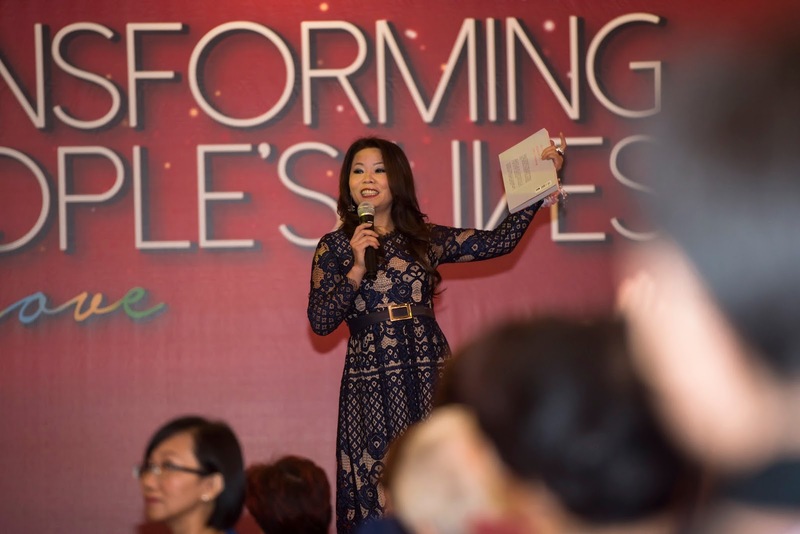 The founder of Melilea, Datuk Dr Stella Chin stayed on stage to share with us her latest book that talks about happiness! About Happiness, I Truly Know is a true life story narrative book, describing Datuk Stella's philosophy of happiness, adding points of happiness in aspects of personal, family, career and marriage. The book was ranked top five in Kingstone Bookstore Financial Category, in just two days of book launching in Taiwan. She also shared exclusively for the ladies, Starladies International, a network of inclusive support that nurtures women in harmony of thought, word and action. It aims to help women to transform in confidence, skills, talents allowing them to be empowered, regardless of past or present circumstances. The annual event was not short of culture. After all the heartfelt presentations by the key people of Melilea, we were entertained by dashing dance troupe who entertained us with classic Chinese number. 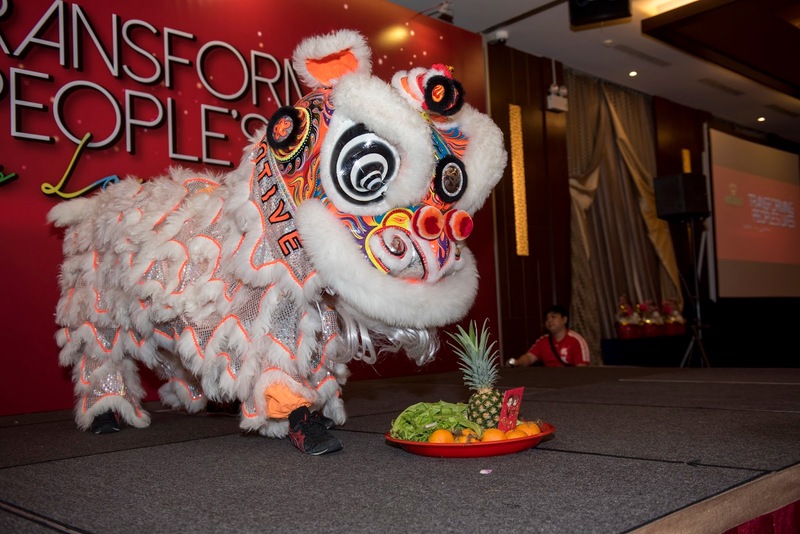 The lion dance performance which got all of us hyped up with our cameras wrapped up the party before we got together for Luo Hei. It came to no surprise both Datuk Dr Stella Chin and Datuk Dr Alan Wong were conferred with honorific title. Their hard work has benefitted many, and has brought glory to their homeland through its corporate social responsibility and aggressive sponsorship of other lifestyle events in its own backyard and overseas. It may not be the typical Gregorian new year, but it's always not too late to put up a new aspiration from successful businesses like Melilea! 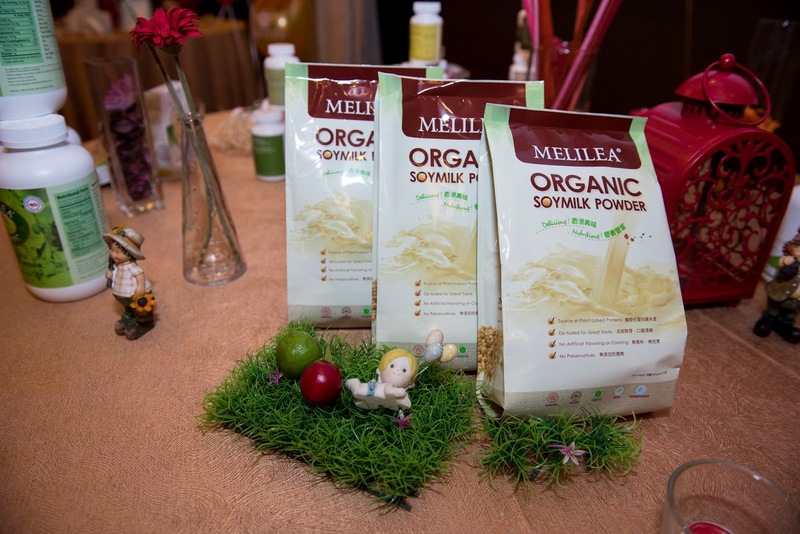 If you are looking for something organic, green, and regional (Southeast Asia), remember to check out Melilea! 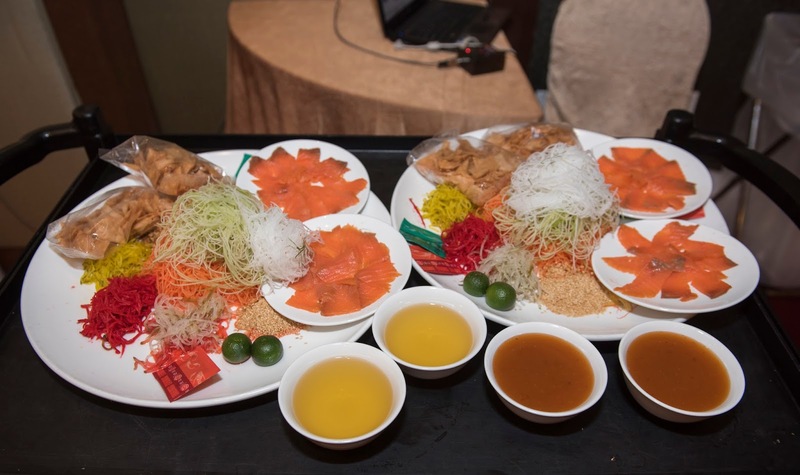 Their prime ingredients in its production ensures that quality is no compromised. To find out more about Melilea, log on to www.melilea.com.sg and follow them on Facebook here!